Why are digital x-rays better for the spine? It used to be that x-ray exposure was a concern when getting imaging done. Now with the help of digital programs, we are able to use lower doses of radiation and adjust visibility directly on the image. There is also no need for our doctor to wait for processing. 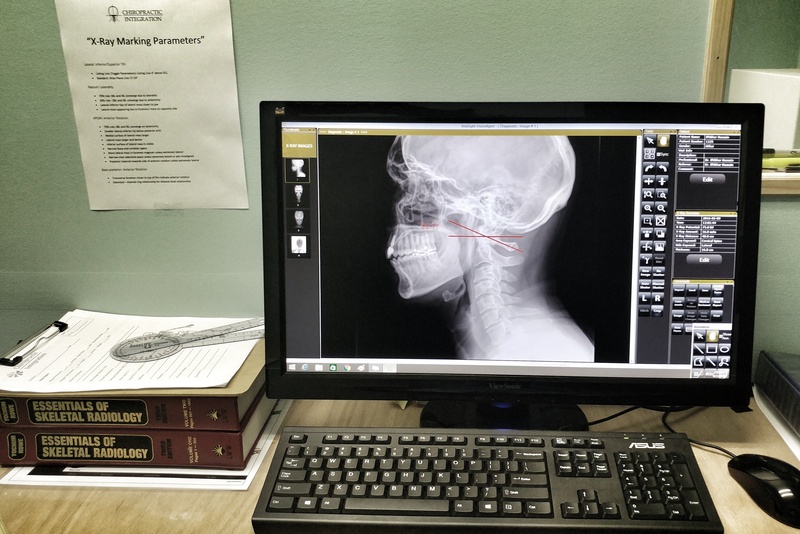 Our office uses specific X-ray taking procedures to ensure optimal positioning. While most technicians “point-and-shoot,” we pay attention to the positioning of your spine. This is important to ensure the we do the very best locate a possible subluxation. As soon as we obtain your digital x-ray films. Our doctor will begin to analyze your spine according to specific X-ray marking parameters and in order to make the appropriate corrections to your spine. Every film is taken the extra mile to ensure you get the most out of your experience. Once your doctor has analyzed your digital x-ray films, you will receive a comprehensive one on one report with the doctor. Your doctor will use these xray films in combination with your history, physical examination, and infrared thermography assessments in order to determine the location of subluxation in your spine. If a subluxation is found based on specific clinical criteria, your doctor will formulate a natural and non-invasive strategy based on the findings that are unique to you. At this time, chiropractic care plans will also be discussed to determine the optimal course of action. 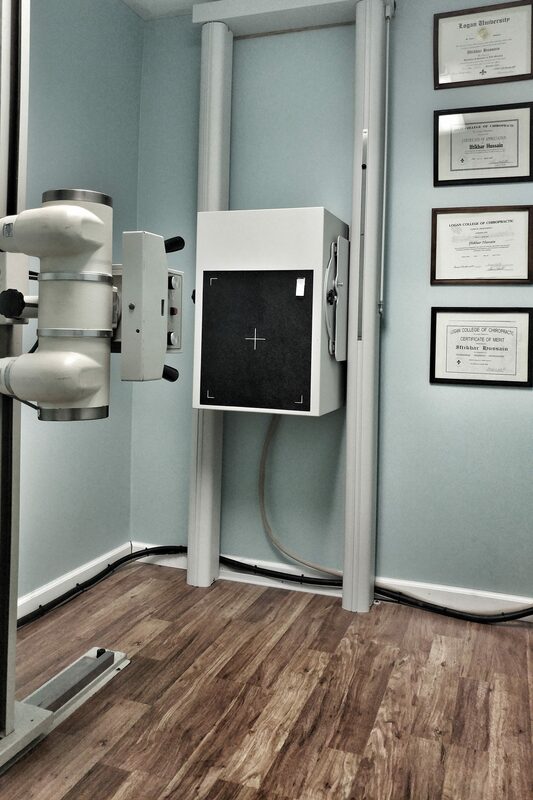 X-rays are taken on all of our clients during their Day 1 Exams unless you are below 6 yrs of age and/or there are contraindications such as physical trauma or pregnancy. The ChiroSight Digital X-ray System by Biokinemetrics brings both retrofit and complete digital x-ray technology designed specifically for the chiropractic profession. Designed for low-power use and extended life, the systems are fully enclosed to prevent image degradation, and the tilting design provides a full range of motion to capture extremity views and difficult angles. Plus, ChiroSight plates utilize Cesium – far superior than Gadolinium found in many DC practices, to absorb 50% more light and eliminate wavelength noise for razor-sharp, diagnostic-quality imaging. 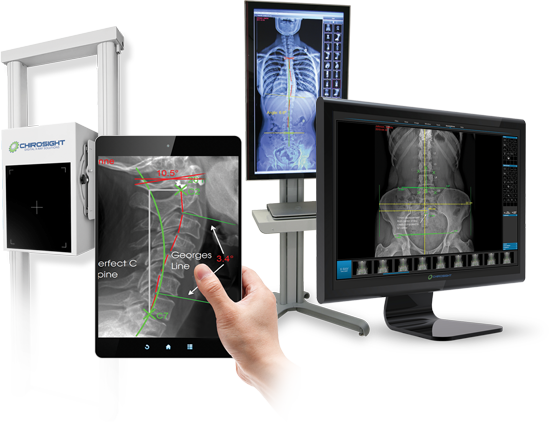 Chiropractors across North America have chosen Biokinemetrics as their digital x-ray technology partner as no other digital x-ray manufacturer creates such unique specifications.